Landmark Insurance is proud to be a member of the First Insurance Group. We offer our clients excellent hometown service with large company resources. We write insurance in the states of Iowa and Nebraska. Call us today and let us know how we can serve you! 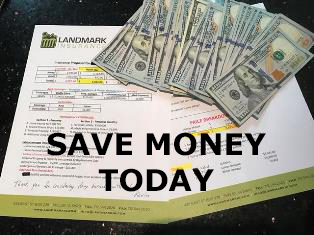 Landmark may save you money too! First Insurance Group is a team of affiliated insurance agencies offering businesses and individuals a diverse menu of high quality insurance products and professional service. Holding master contracts with several “Preferred Partner” insurers, First Insurance Group can offer competitive rates with several national and regional insurance companies. Each affiliate agency offers its clients the benefit of the combined purchasing power of 150 insurance professionals placing over $200 million of premiums annually. There is no policy to small or to large for us to quote. We are happy to serve the communities in Pottawattamie & Shelby County and beyond.